Standing in line is one of my least favorite things in the entire world. In fact, it’s got to be in my top five most hated things ever. Luckily, there’s a way around all this airport waiting. It’s called TSA Precheck and Global Entry. If you’ve ever waited in an airport security or immigration line and watched with envy while those fancy business people skipped the big lines and headed straight through, you need yo’self some TSA Precheck and Global Entry! 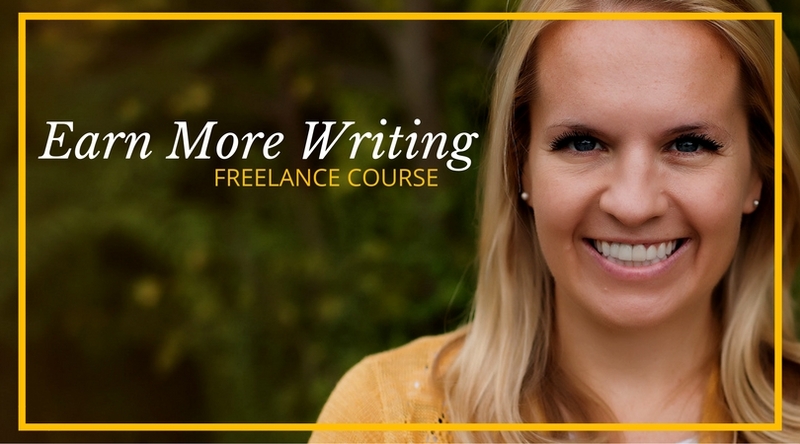 Now, you might think it costs a fortune to get into these programs. You’d be wrong. If you pay for it, TSA Precheck is only $85 while Global Entry costs just $100. Even better, there are several ways to get Global Entry or TSA Precheck for FREE. (Yep, I said free.) All you gotta do is find a great rewards credit card that offers a reimbursement! So, where can you find these unicorn card that can help you breeze through those brutally long airport lines? Don’t worry, I got them right here. 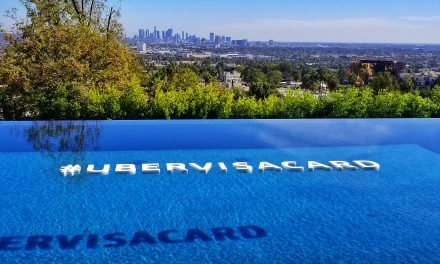 Here’s a list of my top 6 rewards cards that can help you get Global Entry and TSA Precheck for free! Why Get TSA Precheck or Global Entry? 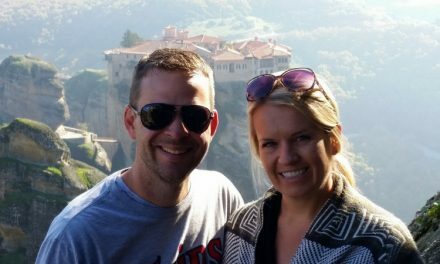 As you probably know by now, credit card rewards have helped us travel for free all around the world. While the points and miles are obviously the main draw, many of these cards offer some excellent side benefits – like trip cancellation insurance and statement credits that make Global Entry and TSA Precheck free. Since card benefits are constantly changing, it’s almost impossible to keep up to date with every benefit on every card. Although this list isn’t all-inclusive, these cards can definitely help you get Global Entry or TSA Precheck for free! 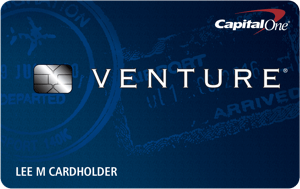 When it comes to my favorite rewards cards, the Capital One Venture Rewards Card earns a respectable spot in the top five. In terms of getting Global Entry or TSA Precheck for free, however, it’s number one in my book! Let’s start with the biggest draw: With the Venture Rewards card, you’ll earn a 50,000 mile signup bonus by spending $3,000 within the first 3 months you have the card. That’s good for a $500 statement credit for travel-related expenses. And, because this is a completely flexible rewards card, there are never any blackout dates for hotels or flights. Speaking of hotels, this card offers a ridiculously huge 10x miles per dollar when you book with partner hotels through the Venture Card website. You’ll also earn 2x miles on all other purchases. 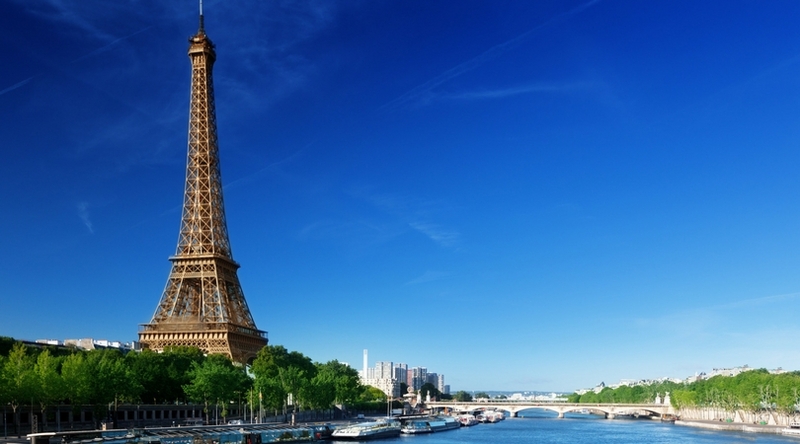 Like most other good travel cards, there are no foreign transaction fees. As you might expect, the card also offers a credit of up to $100 toward application fees for either TSA Precheck or Global Entry. This is more than enough to cover the $85 TSA Precheck fee, and it also covers the entire $100 fee to apply for Global Entry. Here’s the kicker: The annual fee on this card is just $95…and it is waived for the first year! That means there is no cost to try it out. Honestly, this is a really great travel card. With a boatload of benefits this awesome, it’s hard to go wrong. 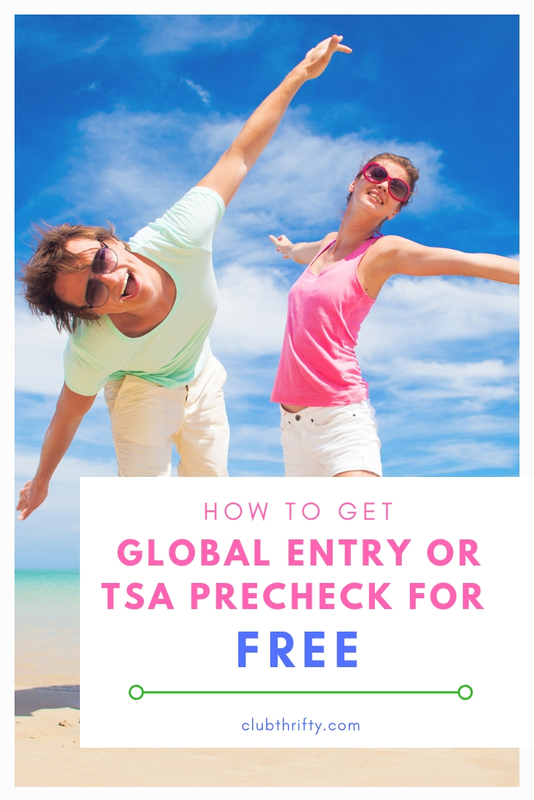 Want to know how to get Global Entry and TSA Precheck free? Look no further than the Chase Sapphire Reserve. 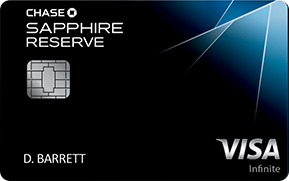 Quite frankly, I think the Chase Sapphire Reserve Card is – by far – the best card on the market for frequent travelers. 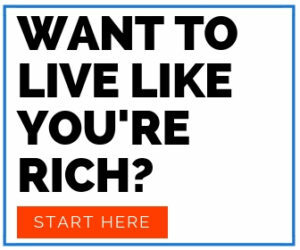 For starters, it comes with an impressive 50,000 point signup bonus after you spend at least $4,000 in the first 3 months. That’s good for $750 worth of travel when redeemed through the Chase portal. Better yet, since these are Chase Ultimate Rewards points, you can transfer your points to more than a dozen partner loyalty programs and redeem them for even more value. If you’ve ever had an airport layover lasting a few hours, you know how uncomfortable it can be to wait in those chairs by the gate. Well, this card also provides access to over 1,100 Priority Pass airport lounges across the world. Trust me, this is a MUCH more comfortable way to pass the time. You’ll also earn 3x points at restaurants and 1 point per dollar on everything else. 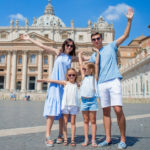 There is also a $300 travel credit included with the card, allowing you to claim a statement credit on travel expenses like baggage fees, rental cars, and more. Once you claim your travel credit, you’ll also earn 3x points on travel. Oh yeah, and for our purposes, you’ll also get a $100 credit for application fees associated with TSA Precheck or Global Entry. Again, this is enough to cover the fee for either program. Now, here’s the (kinda) bad news: This card has a hefty annual fee of $450. With that said, while you can’t use the travel credit to pay your annual fee, the $300 travel credit essentially makes the fee $125. Plus, if you travel a lot, the benefits are more than worth it. Honestly, this is the one card that you’ll always find at the top of my wallet. 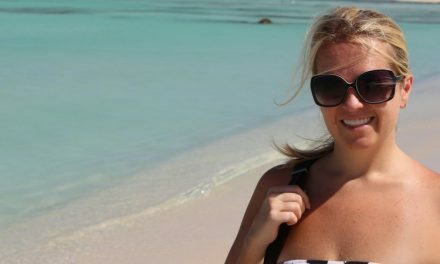 If you travel frequently, I highly recommend it for you as well. 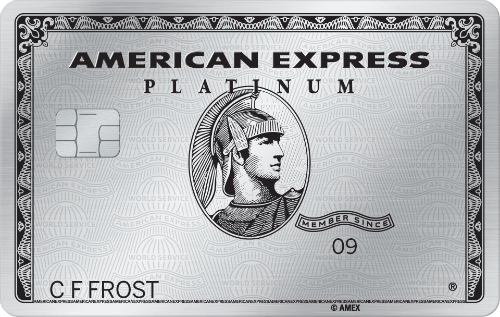 The American Express Platinum Card is another premium travel card that deserves your consideration. With this card, you’re eligible to receive a reimbursement for TSA Precheck fees or Global Entry fees once every four years. The Platinum Card also comes with a 60,000 point signup bonus after you spend $5,000 in the first 3 months. These points come in the form of AMEX Membership Rewards. 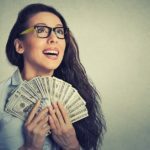 While I prefer the Chase rewards program slightly more, Membership Rewards are also some extremely valuable points to have. In addition, you’ll earn 5x points on flights and hotels booked through the AMEX travel portal. 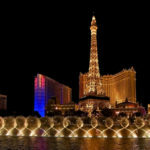 There are also a bunch of different credits that come with the card – including an annual $200 airline fee credit, an annual $100 credit at Saks Fifth Avenue stores, and an annual credit of $200 toward Uber rides. The card also includes free access to the AMEX collection of airport lounges around the world. Again, this card comes with a pretty stiff annual fee of $550 per year. However, if you actually use the included benefits, the card could definitely be worth it. I carried it for years and loved it. 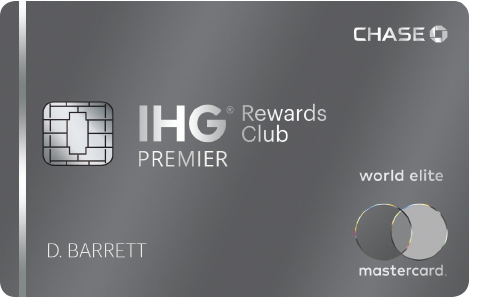 If you’re a fan of IHG properties – think brands like Holiday Inn, Intercontinental, Staybridge Suites, and more – the IHG Rewards Club Premier Card may be for you. 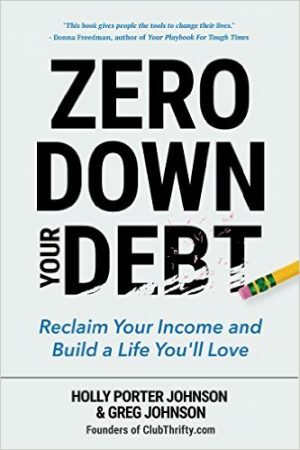 In addition to a 80,000 point signup bonus for spending $2,000 in the first 3 months, you can earn an additional 40,000 bonus points for a total of 120,000 after spending a total of $5,000 in their first 6 months after account opening. You’ll also receive a credit of up to $100 as reimbursement toward TSA Precheck or Global Entry fees. Like several other cards offering similar credits, this is available once every four years. With the IHG Rewards Club Premier Card, every year on your account anniversary you’ll earn a free night’s stay at eligible IHG properties around the globe. Additionally, when you redeem your points for a stay of 4 nights or longer, you’ll get an extra night for free. The card also entitles you to Platinum Elite status for as long as you hold the card. The annual fee on this card runs $89 a year, so it isn’t too bad. Keep in mind, though, that not all hotels are eligible for the free night benefit. For me, that’s kind of a bummer. While I don’t think it’s the best card on the list, it may be a good fit for the right situation. 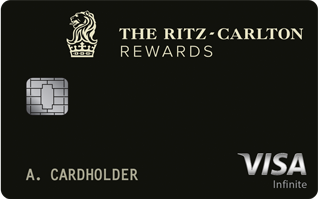 If you already have the Ritz-Carlton Card, you’re in luck. With this card, you’ll earn Marriott Rewards on your spending. The card also offers a host of other travel credits and benefits, including a reimbursement for TSA Precheck or Global Entry fees. The bad part is that new cardholders are not currently being accepted. So, if you already have the card, be sure to use the benefit for free TSA Precheck or Global Entry. If you don’t have the card, you’re out of luck with this one for now. 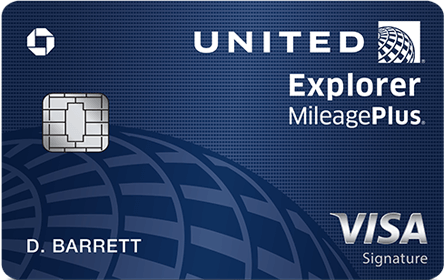 Last, but not least, is the United Explorer Card. This co-branded airline card may be a good fit for United Airlines customers looking to get free TSA Precheck or Global Entry. The card offers a 40,000 point signup bonus for spending $2,000 within the first 3 months you have the card. Like the other cards on the list, you’ll also get a $100 credit toward fees for either TSA Precheck or Global Entry. Additionally, you’ll get a number of different discounts and privileges through United – including priority boarding, 25% back on in-flight purchases, one free bag when you purchase your ticket with the card, and more. There is an annual fee of $95, but it’s waived for the first year. In most cases, I prefer a more flexible rewards card to a co-branded card like this. However, this card may make sense if you fly with them on a regular basis. So, why would you want to get TSA Precheck for free? Simple. It saves you time. Both TSA Precheck and Global Entry are trusted traveler programs that can help you avoid long waits in airport security or customs lines. TSA Precheck is available through the Transportation Security Administration (TSA) while Global Entry is offered through the U.S. Customs and Border Protection department. TSA Precheck can be found at over 200 airports across the United States. According to the TSA, in August of 2018, 94% of those with TSA Precheck waited less than 5 minutes. So yeah, having TSA Precheck usually means you move through security pretty fast. You also don’t have to remove your shoes, belts, light jackets, and liquids or computers from your bag. Children under 13 without TSA Precheck may even accompany an adult through the line who has it. As somebody who travels a lot with their kids, I find this all to be freakin’ awesome. Again, the regular cost of the program is $85, but you can also get TSA Precheck for free by enrolling in one of the cards mentioned above. Your enrollment is good for 5 years. Global Entry is a bit different. This program is designed to make the immigration and customs process go smoother and quicker. Since we travel internationally several times a year, I also love this program. With Global Entry, you’ll enjoy an expedited immigration and customs experience. It costs $100 for a 5-year enrollment, and TSA Precheck is also included. Like TSA Precheck, you can get Global Entry for free using any of the credit cards mentioned above. Unlike TSA Precheck, however, children without Global Entry may not proceed through the Global Entry line with you. Everybody attempting to use Global Entry must be enrolled in the program. As somebody who travels a ton, I absolutely love these programs. They have saved me countless hours of waiting in line at the airport. That alone has been worth enrolling. 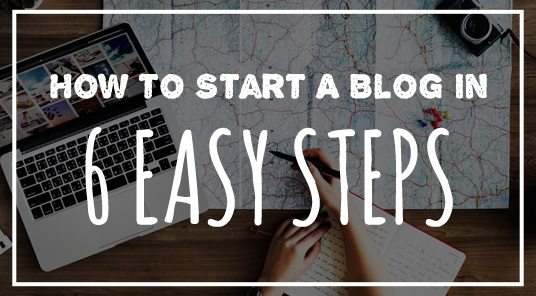 The application process is relatively easy, especially if you’re just doing Precheck. And, since you can get both Global Entry and TSA Precheck for free with a credit card, there’s no reason not to apply. Again, the list of cards above is not all-inclusive, but it is definitely enough to get you started. If you’d like to see more options, you can compare the best travel rewards cards here.